The top eight is set and ready to begin. Fnatic has put up a fairly strong showing at The Chongqing Major, but after dropping their only two games thus far to EHOME, and getting dropped into the lower bracket, they have been on a tear. Their next challenge would be J Storm, a team that was also feeling good about their recent wins and wouldn’t go down easily. Things were going well for Fnatic early on, but around the 18-minute mark, J Storm were able to stall things out a bit. To that point, Fnatic were getting pretty much whatever they wanted in team fights and controlling the tempo. That rut extended to both teams as J Storm were more than content to sit back on defense and pick their fights. The game lasted slightly over 53 minutes and was about as defensive as they come until around the 42-minute mark. At that point, both sides began trying to get any edge they could and just ended up trading kills until eventually, Fnatic came out on top. All the pressure was on J Storm in the second game, but as they fought for their tournament lives, Fnatic seemed to meet them at every turn with something that countered them. Nothing J Storm threw out slowed them down and the North Americans were eliminated at 9th to 12th place. The final series of the day pit Team Liquid against TNC Predator to see who would claim the final spot in top eight. Shockingly, TNC looked extremely ready for the matchup against Liquid. They came out extremely confident and aggressive to start game one. But that early risk factor might have lulled them into a sense that Liquid wasn’t at their level. The fact that TNC seemed to disregard several of Liquid’s counterattacks early led to their downfall even as they held good positioning at halfway through the game. 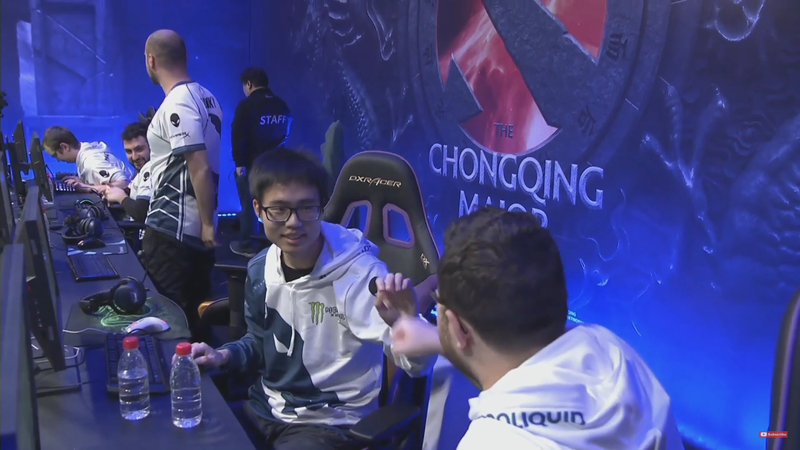 Liquid completely flipped the game around after slowly building up their options for a late-game push. TNC couldn’t slow down any of the big pushes Liquid were making, which led to them losing out on smaller options that Liquid also began to dominate. Eventually, Liquid blew past their opponents and finished the game strong with a 30-17 K/D. Game two saw the opposite happen. Liquid led from an early point before allowing TNC to make a small run. That didn’t end up mattering in the end as Liquid dropped TNC late, moving into the top eight and setting up a next round match up with Fnatic. Matches will resume Jan. 25 at 10pm CT when Vici Gaming plays Evil Geniuses.